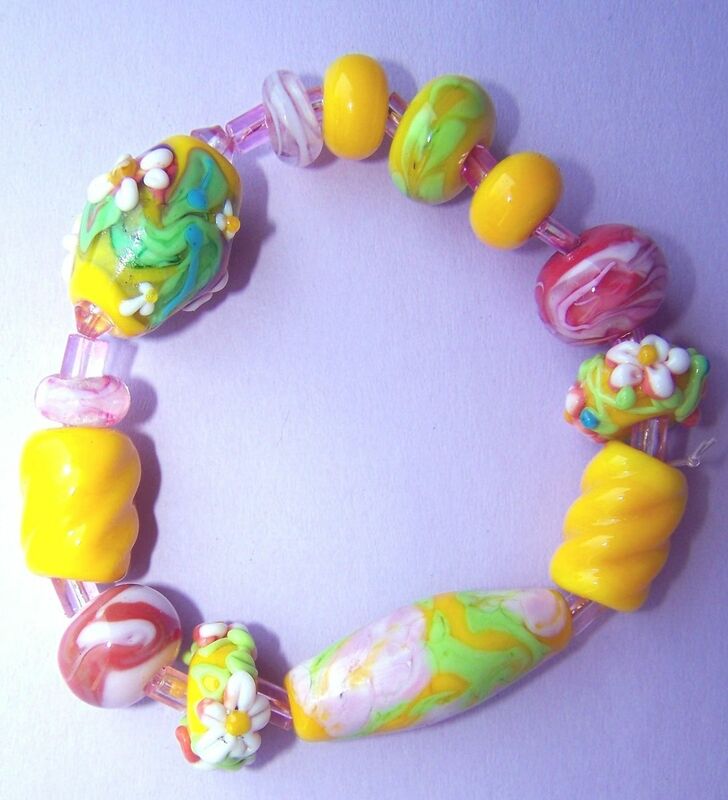 This set of beads is ready to wear as a bracelet, as it is already strung on clear elastic cord. Or, you may have your own ideas for this set of 13 beads. 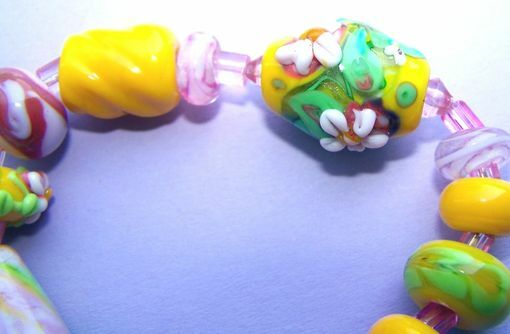 The 3 beads with the raised flowers could be a necklace and earrings on their own. Each bead is separated with tiny pink rectangular spacers. 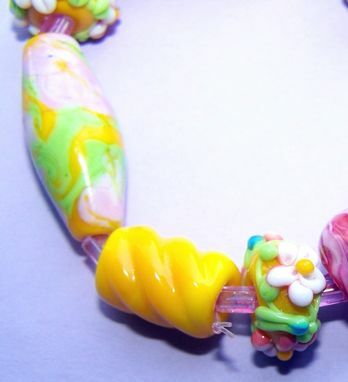 I work with soft glass of many different brands and types. As a professional lampworker, my beads are kiln annealed several hours for strength and durability. I personally inspect each bead for flaws and I thoroughly clean the bead holes with my trusty Dremel tool. Should you not be satisfied with your purchase I am more than willing to exchange or refund according to customer wishes.